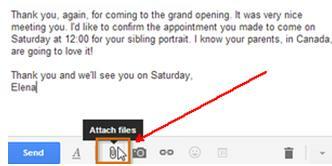 You can send electronic mails and attach files such as documents, images, application and media files. Sharing of media files is very popular, like sending music and video clips to your family and friends. This tutorial will teach you how to email music from iTunes on Mac and iPhone. 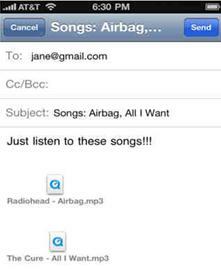 You are able to send music from iTunes to email using the iTunes media folder. This means that you have to login to your email account (MSN, YAHOO, GMAIL etc.) and attach the files from the media folder of your iTunes. Log in to your email client, whatever it is. Compose a new message/email. Then Click the Add Attachment button. The location of the button depends on the client. In this tutorial, we will use Gmail Client. 3. And open the iTunes Media Folder. 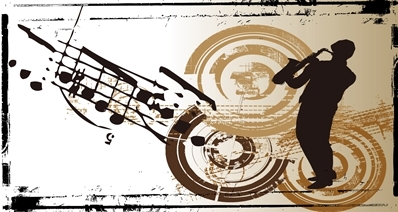 Look for the song files that you wanted to send. Tips: It is advisable that you compress them if the file size of all of them is too large because most email applications do have limited attached file capacity. You can create a folder or select each individually. The choice is yours. This will cost you some dollars, but it is worth knowing of course. If you don’t want to bother yourself, especially cracking those protected iTunes purchased music. 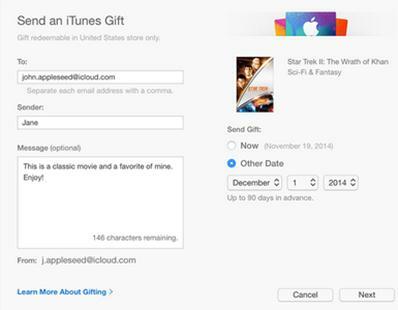 Email music from iTunes using iTunes gifting is easy and legal, although quite expensive. Sign in to the iTunes Store with your Apple ID. Find the item in the App Store or iTunes Store that you wish to gift. 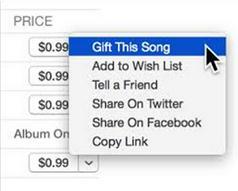 Click the right arrow and select “Gift This Song”. 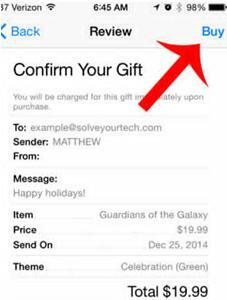 Type the email address of the person that you wanted to receive the gift. Add a message if necessary. Pick the date of the delivery. Confirm your gift purchase and click Buy Gift. The gift will be sent as email to your recipient as though you emailed it. Smartphone advances the level of communication today. Those wicked handset are not only limited to call and sending SMS feature in terms of communication, for they can now send emails and application through various programs. 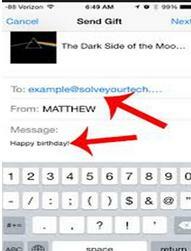 This tutorial will teach you how to email music from iTunes on iPhone without using your Mac or PC. Multiple songs in a single mail. Songs will retain their metadata (artist names, album art). Songs will not be restricted. Universal for iPhone, iPad, iPod touch. 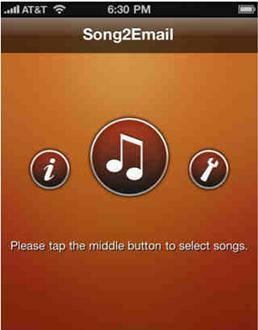 Open your Song2Email application. 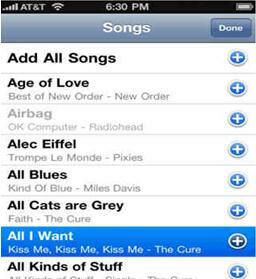 Tap the middle button to select the songs that you wanted to send. Tap the PLUS sign to add the song that you wanted. Take note that the usual email attachment size is limited to 20MB, which is about 3-5 high quality tracks. Older version of iPhones from 3 below only allows 10 MB. But you don’t have to worry about sending a lot of tracks. Just repeat the same procedures as you desire. Click done once you selected the tracks. You will be directed to the Email page. In this screen type, the recipients email in the “TO” cell. Put any message that you want. Press Send. Then the music will be on its way to your friends email box. Go to iTunes Store. Log in with your Apple ID. Click the Music Tab in the store. Search for the name of the song that you want to gift. Click the drop-down arrow next to the purchase price. You will see a sub menu. Click on the Gift This Song option. 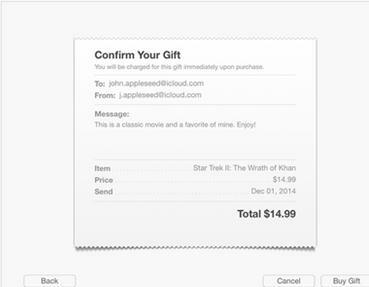 You will see the Send an iTunes Gift screen. Type the email address of the person you want to send the tracks to. Include a message in the message. You can select the date of sending the gift and select a theme. Next will be the confirmation screen. Check the details and make necessary adjustment if needed. Click Buy Gift button to send. iMusic is a great tool that integrates all the features you need for getting and managing music. 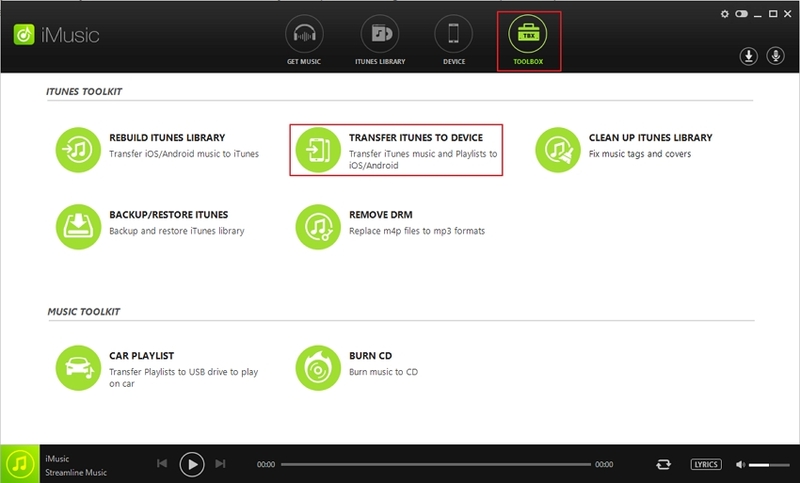 It is able to download and record music from music sharing sites, transfer music between computer and iTunes Library, iPhone, iPad, iPod, and Android devices. Here are its main features. 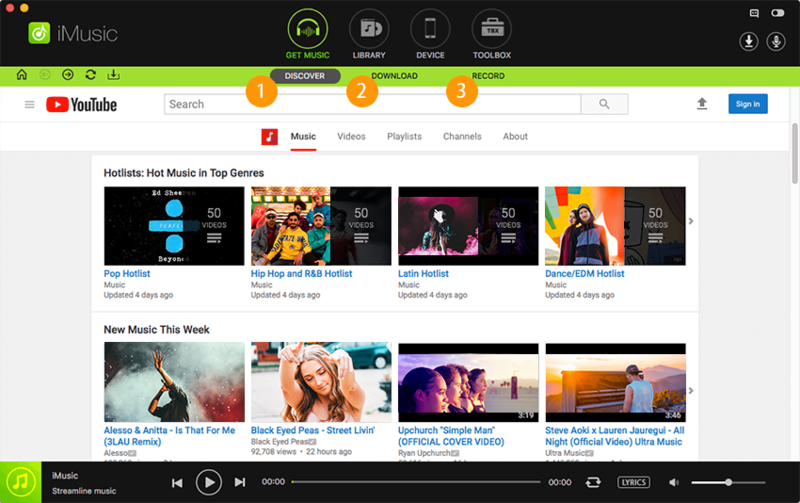 Download music from more than 3000 music sites to totally free. Download YouTube music to MP3 and save to iTunes Library directly. Record music from music sites, software that can play music on computer. Built-in "LIBRARY" gathers all the songs on your computer for further music fix and management. Go to iMusic's official site :https://imusic.aimersoft.com/ download it's free trial , then launch it , go to the device page. Connect your iphone to the device, click the options general direction and wait to be transported to a secondary screen where you will be able to select which files you want to move. If you want to transfer your entire iTunes library into your Device, then select the “Entire Library” option provided (if not, you can also select separate items below it for a more controlled transfer.) 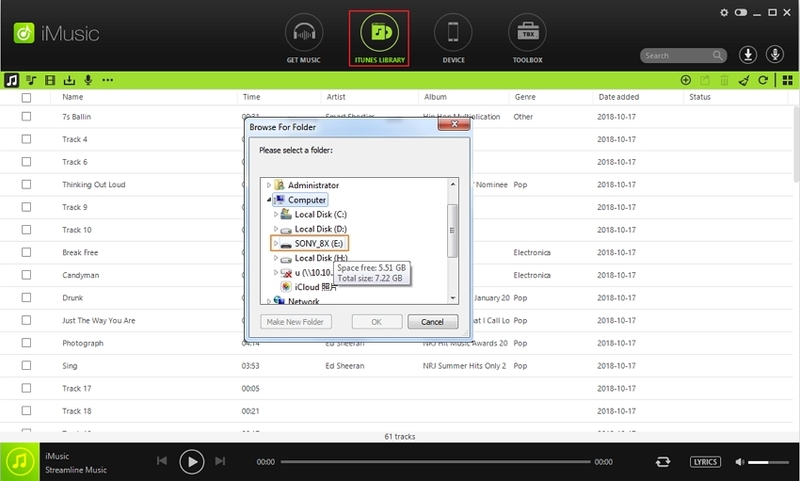 Once you are done selecting the files you want to move, click the Transfer button and let iMusic do its thing! That's it, you have finished the whole process to transfer music from iTunes to iPhone without emailing. 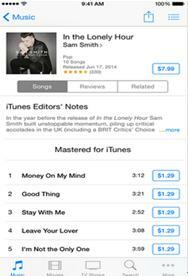 For more related information, you could click transfer music from iphone to itunes .